Masked hypertension (MH) can be considered the opposite of white coat hypertension, which is when during a typical doctor’s office visit your blood pressure reads as being high despite being normal at home. The white coat effect is thought to be caused by increased anxiety, which leads to higher blood pressure readings. 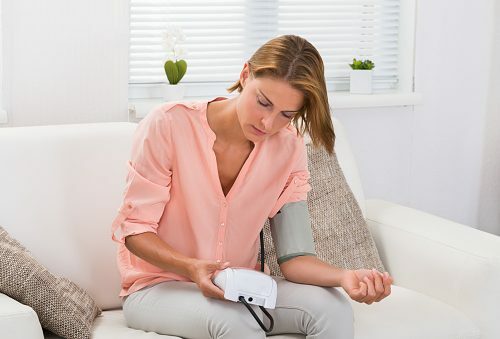 You can, therefore, say that a masked hypertension definition comprises having normal blood pressure in the doctor’s office, but high blood pressure at home. This is a problem as having chronic high blood pressure can lead to serious health conditions over time, such as a stroke or heart attack. If your doctor can’t get accurate readings in the office, they may not recognize the problem and prescribe proper treatment. 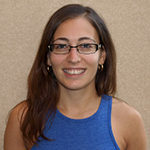 A recent study comparing clinic blood pressure measurements to ambulatory blood pressure monitoring in middle-aged participants found that 15.7 percent had masked hypertension. It was more commonly seen in men than women and in those with borderline hypertension or pre-hypertension. Interestingly, younger, normal-weight participants were more likely to have masked hypertension than older, overweight subjects. Masked hypertension is a clinical condition where a person’s blood pressure reads much lower than it actually is when in the doctor’s office under normal conditions. This reading may be interpreted as being normal and therefore not raise any alarms for the need for high blood pressure medication. Leaving high blood pressure undiagnosed and untreated can result in years of damage to blood vessels and organ tissue. This exposes people to serious dangers such as severe strokes and even sudden death. The best thing you can do is regularly measure your own blood pressure at home or at a blood pressure kiosk found in many drug stores. Report your results to your doctor. High blood pressure is a problem affecting millions of Americans today, but these cases often go unrecognized and untreated by doctors. The problem with masked hypertension is that it can be easily missed, so high blood pressure can inflict damage over an extended period of time. Based on recent analysis, researchers estimate that 12.3 percent of Americans over the age of 21 have masked hypertension. This statistic translates to about one in every eight people or 17.1 million Americans. Definitive data on the prevalence of masked hypertension has not been achieved, but several cross-sectional studies have been done by investigators who have looked into it. The following are some of the results they found. Identification of masked hypertension can be a tricky endeavor as most people simply take their doctor’s word for it that they do or do not have a certain condition. Most people also don’t make much of an effort to keep track of certain chronic health conditions like high blood pressure, making the diagnosis of masked hypertension even more difficult. The two most important tools that help in the proper diagnosis of masked hypertension are an ambulatory blood pressure monitor and a stationary home blood pressure monitor. Unfortunately, both of these tools can be expensive, which often discourages people from buying them. Consistent use of these tools is also required to obtain accurate results. If one device has to be chosen over the other, many medical professionals view home blood pressure monitoring as being more effective. Know your numbers: The goal is to have blood pressure that is below 140/90 mmHg. You should have your blood pressure checked at least once a year. Vary the setting: Check your blood pressure in more than one setting, as you may find there are variations in your numbers. Have your blood pressure checked in the community, at home, or at a pharmacy. Also, those already diagnosed with hypertension and taking medication for it should check their blood pressure on a consistent basis, making sure their treatment is working as it should. Watch for symptoms: Normally, high blood pressure doesn’t present with symptoms, but some people may experience shortness of breath, chest discomfort, heart palpitations, headaches, or vision changes. If you experience any of these symptoms, speak to your doctor right away. Change your lifestyle: Dropping bad habits such as smoking and reducing alcohol consumption can be enough to help lower blood pressure. Incorporating regular exercise, eating a healthy diet, lowering sodium intake, and reducing stress can also help. Left ventricular hypertrophy: The enlargement or thickening of the walls of the heart in the left ventricle. This condition tends to develop in response to some factor such as high blood pressure or a heart condition that cause the heart to work harder. Atherosclerosis: A condition were arterial walls thicken from the accumulation of atherosclerotic plaques. While atherosclerosis can go without symptoms for decades, an unpredictable plaque rupture could lead to the sudden narrowing of an artery. Albuminuria: The presence of a protein called albumin in the urine. It is often a response to those with kidney disease, which in turn can affect blood pressure. Diabetes: A metabolic condition that is characterized by the inefficient metabolism of blood glucose. This can lead to kidney damage and subsequent changes in blood pressure. Kidney disease: Causes gradual loss of kidney function, which is required to maintain adequate blood pressure levels. kidney disease can also lead to dangerous levels of fluid, electrolytes, and wastes to build up in the body. Masked hypertension and white coat hypertension both produce abnormal outcomes at the doctor’s office. However, white coat hypertension is when blood pressure is falsely high when measured by the doctor, and masked hypertension is when blood pressure is falsely low when measured by the doctor. Both conditions give a false impression of what your blood pressure range actually is, and they can be problematic down the road if not recognized. Knowing how to recognize any potential cases of masked hypertension before they develop is something that medical professionals value. Through the analysis of several studies of persons with masked hypertension, a high number present with left ventricular hypertrophy when compared to those with sustained hypertension. This similarity was also seen to be present in those treated for their hypertension. It was concluded, through the analysis of long term studies, that masked hypertensive patients were prone to develop nearly double the amount of events compared to someone with normal blood pressure.